Last week NextEra Energy, Inc. (NEE: NYSE) broke ground on its newest wind power project. The company plans to build 71 wind towers in Wayne County, northeastern Nebraska, outfitting each with General Electric (GE: NYSE)turbines. 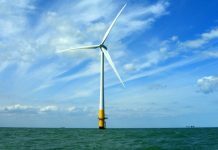 Called the Sholes Wind Energy Center, the wind farm will have a collective generating capacity near 160 megawatts and require $200 million in to build. Construction is expected to begin in March 2019, to meet a December 2019 planned operational start. The Omaha Public Power District (OPPD) has already signed a twenty-year power purchase agreement with NextEra, making return on the Sholes project close to guaranteed. OPPD is the twelfth largest public power utility in the U.S., serving over 374,000 customers across thirteen counties in Nebraska. OPPD is not new to wind power. The public utility already sources electricity from the Grande Prairie Wind Farm in Holt County, Nebraska. Grande Prairie is comprised of 200 turbines with a total capacity of 400 megawatts. The wind farm is owned by Berkshire Hathaway Energy Renewables, a privately held renewable energy developer based in Des Moines, Iowa. In 2017, wind power represented 29.5% of OPPD retail electricity sales. Nebraska’s prairie landscape is ideal for wind power generation. The state ranks fourth in wind energy among U.S. states, generating over four billion kilowatts hours annually. According to the State of Nebraska Energy Office, the state has 786 operating wind turbines with total capacity of 1.4 million kilowatts. 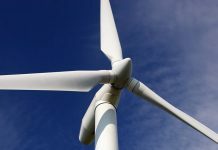 In addition to the 71 wind turbines slated for the Sholes Wind Farm, three other projects are underway in Nebraska totaling 150 turbines with a collective generating capacity of 431.5 megawatts. 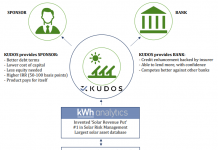 All have power purchase agreements in place. Not all in Nebraska are enamored with wind power. Legislation was introduced in the 2018 state legislative session to strip the ‘renewable’ designation from wind power, pulling wind power projects into the purview of the Nebraska Power Review Board and requiring public hearings on wind power projects. Supporters of the legislation cited risks to wildlife and the environment that go challenged without public scrutiny. True enough Nebraska’s iconic Sandhills do have a fragile ecology of mixed-grass prairie and sand dunes that do not hold up well under construction activities. 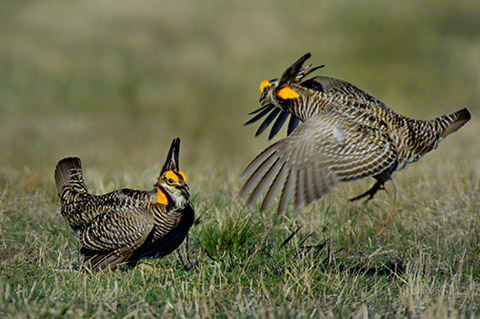 Wind farm operations could potentially interrupt the delicate mating dances of the greater prairie chicken or grouse. There is also a building body of evidence on the mortality of birds and bats due to wind towers and blades. The American Wind Wildlife Institute has been building a knowledge base and recently made available a compilation of studies that suggest bird and bat mortality in a range of 3 to 6 birds per megawatt per year. While populations of smaller birds are apparently not at risk, large raptors and bats may be in peril given their smaller populations that could be trimmed to endangered levels by unfortunate encounters with turbine blades. Nonetheless, economic growth appears to be just too rich an incentive to forestall interest in wind power. NextEra’s Sholes Wind Farm in Nebraska is expected to create 200 construction jobs over the next year and then another 10 permanent jobs for ongoing operations. Wayne County and the adjacent Stanton Counties expect to receive $1 million in incremental annual property taxes over the Sholes planned thirty years of operation. The icing on the cake and possibly the reason wind power is given little check in Nebraska is an estimated $1.3 million in annual payments to landowners from the Sholes. The Nebraska project will help keep NextEra with its NextEra Energy Resources (NEER) subsidiary in its leadership position as the one of the largest operators of wind and solar power projects in the world. NEER has over 19,000 megawatts of renewable energy generation capacity spread out across the U.S., Canada and Spain. Wind power represented 69% of NEER net generating capacity in 2017. NEER earns revenue from the sale of electricity and as well as renewable energy credits (REC). However, that is not the only source of revenue for NextEra. The company also operates the utility Florida Power and Light (FPL), which serve customers along the eastern coast of Florida as well as the western coast of the Florida peninsula. NextEra reported $17.1 billion in total sales in the twelve months ending March 2018, providing $8.2 billion in net income or $17.34 per share. In the same period, the company converted 37.7% of sales to operating cash flow or $6.5 billion. The hefty cash generation figure helps support quarterly dividends that are expected total $4.44 per share in 2018. The current price the dividend represents a yield of 2.7%. The attractive yield helps explain why the stock is priced at 20.4 times forward earnings. Then again the broader utility industry is trading at a forward price earnings ratio near 20.2 times. For those investors who are not interested in a position in a large capitalization company like NextEra – the market cap is $80.4 billion – the prairie winds have blown up an investment alternative. The Omaha Public Power District is not a public company, but it uses leverage to pay for infrastructure build-out. Its most recent bond issue in December 2017, was composed of $220.2 million in revenue bonds that received an Aa2 rating from Moody’s and AA from Standard and Poor’s. The bonds offered a coupon rate of 5.0% and were sold at yields to call in a range of 2.46% to 2.78%. While OPPD does not make quarterly or annual filings with the SEC, its financial reports are made available to the public. The district reported $1.1 billion in total revenue in 2017, providing $77.2 million in net income. Operations generated $367.9 million in cash flow. We estimate free cash flow after capital investment was $120.5 million. Generation of free cash flow is important given the debt load of $3.8 billion on OPPD’s balance sheet. Total debt has declined in recent years as OPPD engaged in debt refunding over the past four years. The debt-to-equity ratio was 3.45 at the end of 2017, which may seem like a significant amount of leverage. Importantly, OPPD had enough cash earnings before taxes to cover interest expense 3.19 times. OPPD debt may not be any more suited for a broad audience than NEE as a large cap utility is appealing to investors seeking strong growth. The debt of OPPD is privately placed by large underwriters, and not all investors will get a taste. 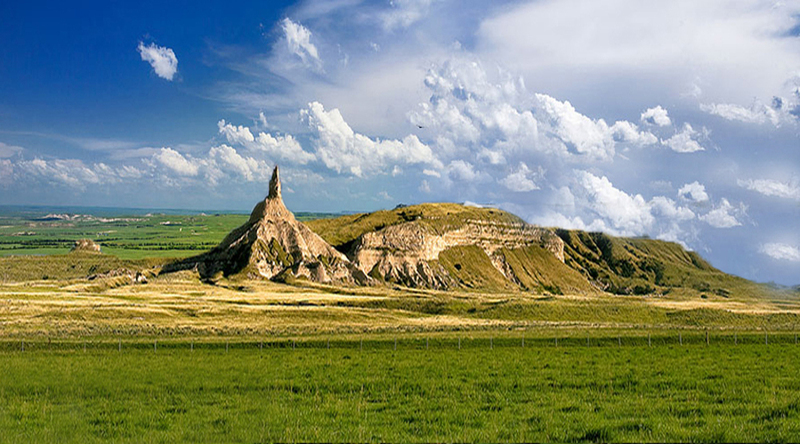 Nonetheless, the two companies give investors alternatives to participate in the value that blows on prairie winds.